Approximately 8,000 pounds of construction materials in New Bedford and all across the U.S.A. are tossed into the landfill while building a two thousand square foot home. One way to avoid creating so much waste and adding to our already overflowing landfills in Massachusetts, is to get involved in construction waste recycling. This process involves the separation of various scrap metal recycling materials throughout any remodeling or new construction project. Recycling waste materials, such as packaging, debris, old materials removed from the home and new materials scraps, are all considered recoverable materials, which can be recycled. Other items, such as doors, windows, masonry materials and old appliances, which are often discarded during a renovation or remodeling project, are also considered to be recyclable construction materials. Some materials that are found at the construction site can be recycled directly for re-use. Other materials can be made into other usable products through processing at a local scrap metal recycling facility. This prevents recyclable construction materials from going into local landfills, as well as waste that comes from chemically-treated wood or solvents used in construction, to affect the local soil and groundwater. For construction projects in New Bedford, Massachusetts and all throughout the Southcoast region, including Cape Cod and Rhode Island, scrap metal recycling can be achieved simply by bringing recyclable construction materials to Mid-City Scrap in Westport. With the ability to recycle and process ferrous, non-ferrous and other construction waste recycling materials, Mid-City Scrap is an excellent resource for contractors, construction and industrial businesses that want to reduce their contributions to the local landfills. For companies that want to get involved in remodeling or construction waste recycling, the most important first step is to develop a process for on-site separation of various materials. This will involve some basic training and effort on behalf of you and your team. However, once separation skills are learned, they usually become second nature, requiring very little additional effort to achieve. In fact, businesses that begin recycling waste materials, often find that basic education about scrap metal recycling results in better planning and management of materials ordered for each project. This new skill, in turn, ultimately results in less material waste on the job site and a smaller amount of recyclable construction materials generated throughout the build, reducing costs for both the business and the client. Before you begin any type of construction waste recycling plan, you need to consider what type of materials you will need to recycle and determine if and how your local scrap metal recycling facility will take them. Your best bet is to contact Mid-City Scrap directly to find out what types of materials they will receive and if there is anything you will need to do to prepare them for recycling. It is important to sort and separate each of these materials for proper construction waste recycling. Containers should be set up on the job site and labeled clearly for easy use by your team. Bins should be checked on a regular basis to prevent the mixing of sorted recycling waste materials. Speak with Mid-City Scrap for information about proper sorting of metals, plastics and other acceptable construction waste recycling materials. Larger items, such as lumber, metals, plastics and other recyclable construction materials, may need to be broken down to standard dimensions for recycling. Again, speak with a representative at Mid-City Scrap in Westport, MA for information about any requirements they might have for proper scrap metal recycling and processing of other recycling waste materials. Other things that can be re-used include sawdust, which can be used in landscaping or in compost piles; clean fill dirt, which will frequently be picked up by local contractors and residents in the area; and appliances that are in good condition, can also be donated to local charity organizations. Paints, sealants and other solvents can also be donated to charity projects, such as Habitat for Humanity, or other local organizations. Make sure to consider the potential of each and every byproduct of your construction project to ensure that all recycling waste materials are used to their full potential. For remodeling and construction projects in New Bedford, as well as the entire Southeastern Massachusetts region, it is important to work with a reliable, dependable scrap metal recycling facility that is local to the area. Mid-City Scrap is located on State Road in Westport, MA. Mid-City accepts a wide variety of both ferrous and non-ferrous scrap metal, as well as various grades of waste paper and fiber. 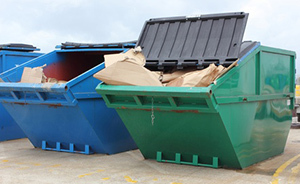 Contact Mid-City Scrap toll free at 800-334-4789 for more information about the services available.